Philip J Milton & Company Plc takes the privacy and security of your personal information very seriously. Philip J Milton & Company Plc is committed to protecting and respecting your privacy. This notice sets out the basis on which any personal data we collect from you, or that you provide to us, will be processed by us. Please read the following carefully to understand our views and practices regarding your personal data and how we treat it. For the purposes of Data Protection, the data controllers in respect of all media for Philip J Milton & Company Plc is Philip James Milton. 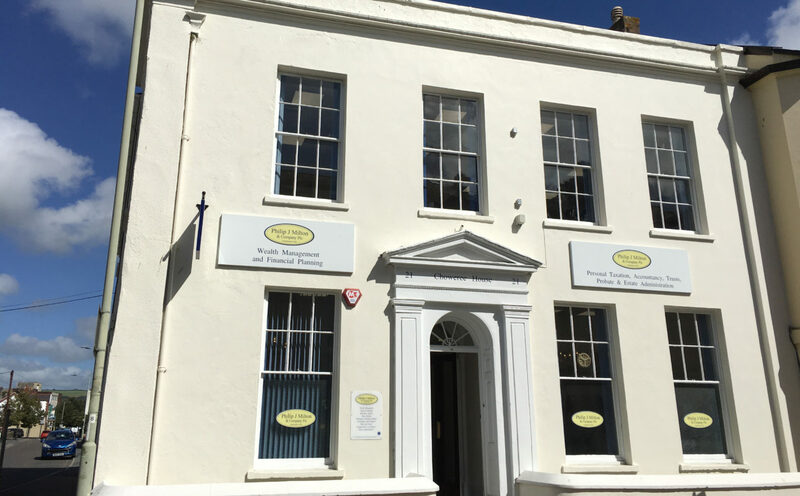 www.miltonpj.net – Philip J Milton & Company Plc is registered in England and Wales under Company Number 3233275, registered office: Choweree House, 21 Boutport Street, Barnstaple, Devon EX31 1RP England. The Firm is authorised and regulated by the Financial Conduct Authority. By visiting the Firm’s website you are accepting and consenting to the practices described in this notice. This Privacy Notice informs you about what to expect when Philip J Milton & Company Plc collects personal information. • Information you give to us by filling in forms on our website or by corresponding with us by telephone, in writing, email or otherwise. This includes (but is not limited to) information you provide when you open an investment or sharedealing account with us, request quotations, register for email alerts, request literature, sign-up for newsletters or enter a competition or promotion. The information you provide may include your name, address, email address and other contact information, financial information as well as other personal information and (if applying for employment) relevant information about your qualifications and work experience. • We may receive information about you from third party service providers; for example, VouchedFor or Unbiased.co.uk and resulting from you searching for a service that we provide. We use a Customer Relationship Management (CRM) system to record details about our contact with you. This information is held securely on our servers at our Registered Office and in line with our retention policy or as long as the law requires. We shall take all steps reasonably necessary to ensure that your data is treated securely and in accordance with this Privacy Notice. We shall use your personal information to provide you with any information or services that you request or to reply to any correspondence. We shall also use it to analyse information about you and provide detailed recommendations based on the information provided. We shall also use your information to send you newsletters, email updates and service updates as deemed appropriate along with updates and valuations regarding your investments. All telephone calls to the Firm are recorded for quality, evaluation and training and regulatory purposes. The Firm is obliged to divulge information to the Financial Conduct Authority, Financial Ombudsman Service, HM Revenue and Customs and any other statutory bodies so authorised upon request. Any personal information retained by these Regulatory Bodies is bound by its own Privacy Notice as detailed upon its websites: www.fca.org.uk, www.financial-ombudsman.org.uk and www.gov.uk/government/organisations/hm-revenue-customs. The firm is also obliged to divulge information to its Auditors, currently Baldwins Audit Services Limited, for the purpose of regulatory compliance. Details of its privacy notice can be found on its website www.baldwinsaccountants.co.uk. The Financial Services and Markets Act 2000 places restrictions on the information (including personal data) that we can and can’t share. If you would like a copy of some or all of this information you need to put the request in writing addressing it to our registered office address Choweree House, 21 Boutport Street, Barnstaple, Devon EX31 1RP, England. If any of the information we hold is inaccurate, you can ask us to correct any mistakes. You may opt out of receiving our promotional material, including newsletters and email updates at any time. You may also request for your information to be deleted from our records; we shall write to you to confirm that this has been actioned or to confirm whether we shall need to retain any records specifically for regulatory purposes. You may contact us in writing with a wet signature to update the information we hold about you at any time.